Students - I love the ocean! 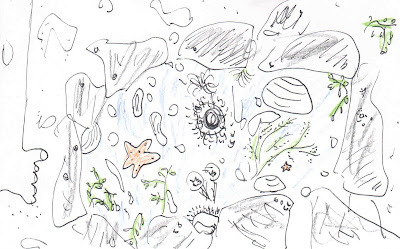 There is something so mysterious about all of the little creatures that live in wee water puddles for a bit in a tide pool and then wash back to their ocean home. Today's poem describes this place, just what I remember seeing the last time I was there. Yesterday my children and I visited the shores of Lake Erie (Evangola Beach) and this may be why I chose this older poem to share. What places do you love? Try thinking about and sketching one of your favorite places. If you can, imagine a small place. Your closet - not your room. The basketball court - not the whole playground. That under-the-stairs-place - not your grandparents' whole house. Now, to write your poem, simply describe the details in your picture, line by line. You may choose to write a two stanza poem as I did here, with the first stanza describing the place and the second stanza telling something special about it. Several years ago, our family attended the Family Nature Camp at the College of the Atlantic in Maine. I'll never forget all of that oceanside time. If you're looking for a family vacation, check it out! 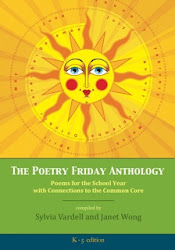 Many congratulations to Bonnie....winner of last week's giveaway of THE POETRY FRIDAY ANTHOLOGY (see sidebar)! 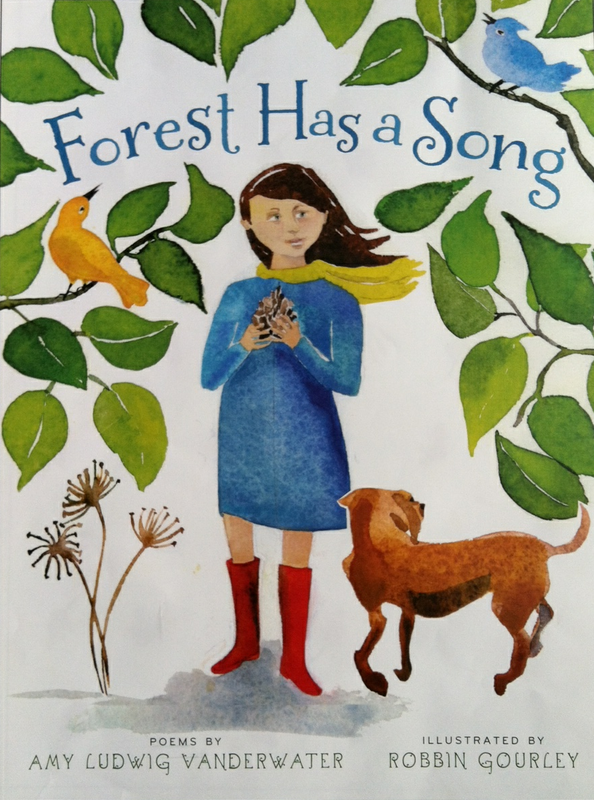 Bonnie has already claimed her prize at The Poem Farm Facebook page....and I am ready to announce giveaway #2 of this new book. 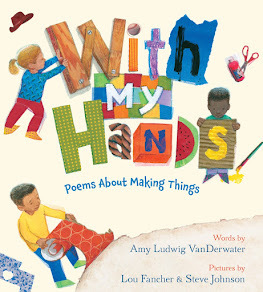 To win, please just leave a comment on today's post, and one commenter will receive a copy of this new anthology. We'll see which name Henry (our son) draws over his bowl of Cheerios next week! 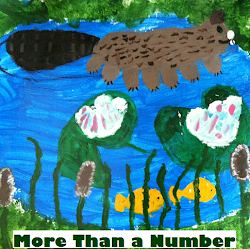 If you did not win...please check it out on Amazon and consider ordering a copy for yourself or a teacher friend. 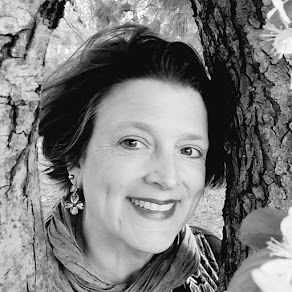 Dori is hosting today's Poetry Friday roundup over at Dori Reads. Happy reading! And happy (late) Poetry Friday too! One of my favorite moments as an adult was discovering tide pools. 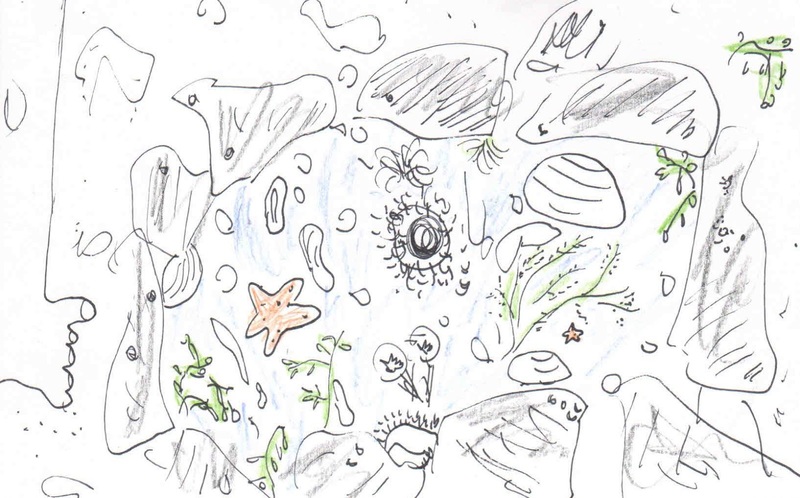 I was on a first ocean trip with students and we studied the rocky shores in the Pacific. What a 'treasure chest' indeed. The poem captures that exactly, Amy. I love the 'ocean-postcard mystery'. 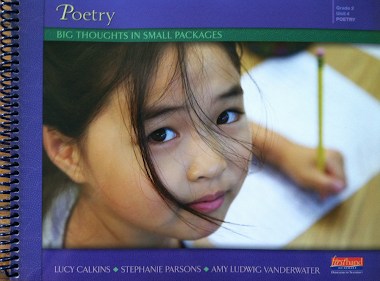 I am teaching about small moments in writing, so small places is a perfect match. 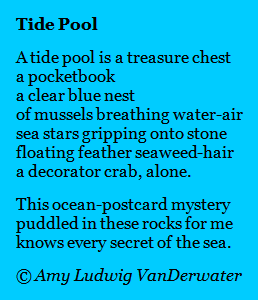 The ocean is one of my favorites on this planet and this small poem took me there once again. Thanks for the mini-fieldtrip! Very nice! I felt a little like your poem was itself a tide pool of wonders. I was just thinking about you today and how all the discipline you have has been paying off in so many way and it inspires me to keep scribbling!